Click to join the Nitrotek affiliate programme today and earn 10% of the value of every sale! We are the UK's number one site for the latest radio controlled models at discount prices. 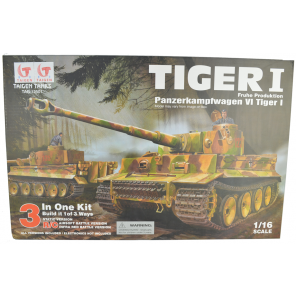 We have a big range of radio controlled cars, helicopters, tanks and planes to suit all ages and experience levels. These are the proper rc models that are in demand products with a high conversion rate. Many of the items are unique to our site and can not be bought from chain stores and on the high street. Our prices are amongst the cheapest on the web and we offer free next day delivery on all models. We also have another site www.scootercity.co.uk that sells micro electric and petrol scooters as well as large road scooters. By opening an affiliate account with Nitrotek you will also be able to earn commission on scooter sales either on the same site or a different one. The Nitrotek team is made up of radio controlled car racers and model enthusiasts. Our support staff have been using radio controlled models since they were kids and regularly take part in National events and races. We are able to give customers the best advice from choosing a model to after sales support on how to use and maintain their models. We also have our own service centre that allows us to give a unique service to customers. When an order is placed by a customer referred from your affiliate link/s an above average commission rate of 10% of the total sale value is applied to your account. Payment is made to you monthly by Paypal as long as your balance is over £50. If your balance is under £50 it will be carried forward into the next month until it reaches £50. The cookie length for the programme is 30 days. With the radio controlled models that we sell many beginners will crash their model whilst learning how to use it. Our repeat business is very high as we also sell all the spare parts that customers will need to fix their models. This will give you greater earning potential for repeat custom! Once you have applied, and been approved onto the programme you will be able to access the links section. Within this you will find: - Nitrotek Logos - Banner creative in various sizes - Text Links / Links to promotional pages - Voucher codes (when available) - A feed (available as .xml or .csv) which contains all of the most up to date products. You can use the feed to list individual products on your website, including images, a full description and pricing details. Each product directly links to the relevant page on the Nitrotek website. If you need any assistance with the above, or have bespoke requirements please get in touch! Nitrotek does not allow any affiliates to bid on brand terms, nor are affiliates allowed to use these within a display URL in any PPC advertising. This also includes mis-spellings of the brand. Any affiliates found to be doing so will be removed from the programme. You are not permitted to send any unsolicited email ("spam") under this Affiliate programme. Nitrotek will sometimes create special discount voucher codes for affiliates to promote. Details will be emailed to our registered affiliates and also entered into the promotions area. If you are a voucher code site you must not have any misleading copy suggesting there are codes when none exist. We are happy for you to feature special offers, but the phrasing of the button and copy you supply directing customers to the site must be clear.